What is even going on here!?! I mean that in the best way, actually. With imminent death looming on every page, this issue was a fast read! We have a pissed-off Sith warrior and Ania Solo and her friends on a collision course. That much we all know. There isn’t much I can say about this issue without giving away any spoilers to this epic conclusion of the first story arc. 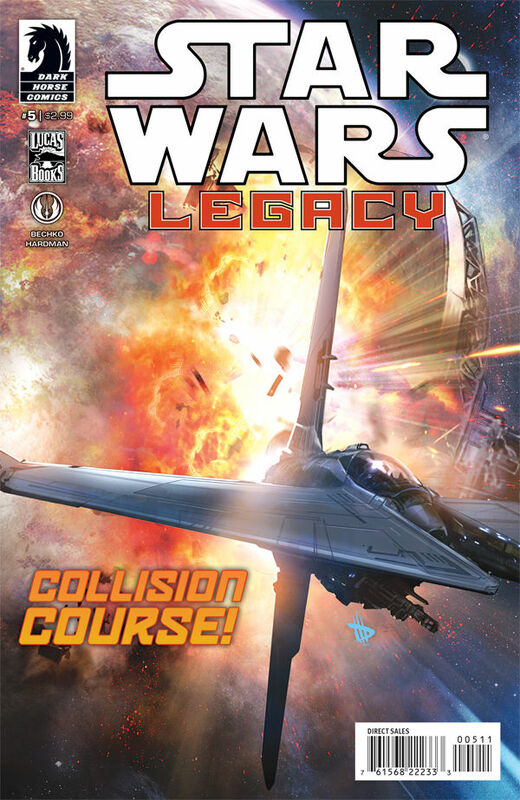 Star Wars Legacy is written by Corinna Bechko and Gabriel Hardman with art by Gabriel Hardman. Anyone writing for Star Wars better know action, and these folks have proved that they do. I can’t wait to see what happens as the series continues. Hold on to your seat until the end of this one folks, because it won’t let you catch a breath until that final page, when we finally find out what happens to Ania and her friends. Will she follow in the great Han Solo’s footsteps, and step up to the plate? Read it and see! Hardman is a great artist. I like to see art that fits the story it is written for, and other comic fans will know what I mean. Sometimes the art just doesn’t fit the writing, but in this case, it definitely does! I love how the characters were portrayed, and am excited to see what lies in Ania’s future after this issue. This issue is available for purchase at your local comic shop on July 24th, or you can purchase it at the Dark Horse site. Go go go! Read read read!